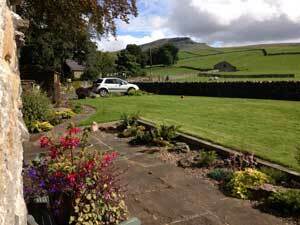 Welcome to 'Broad Croft House B&B' in Horton-in-Ribblesdale. 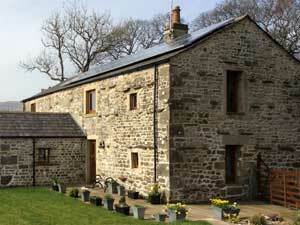 Our beautiful barn conversion is ideally situated for walkers and 3 Peak Challenge adventurers! We are also within close walking distance of the pubs, cafe and train station within the village and have our own car park for guests. Whether walking the 3 peaks, visiting the famous Settle to Carlisle railway line or simply using us as a base to explore the Yorkshire Dales and Lake District, we look forward to hosting your stay. The views from our garden speak for themselves and can be enjoyed by all of our guests. We have 3 well-appointed bedrooms which are situated on the ground floor along with our guest dining hall. All bedrooms have shower, toilet and basins, with TV, shaver points, hair dryers and tea and coffee making facilities and free Wifi access. Broad Croft House is non-smoking and offers off road parking. Coming soon is a 'Pod Garden' with 2 eco pods with en-suite shower rooms for a fabulous 'glamping' experience. These will be dog friendly. Please ask for details. 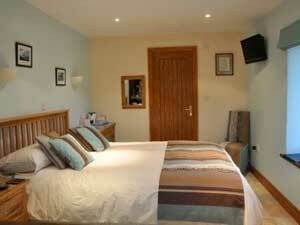 Our rate of £85 is based on 2 people sharing a room and includes breakfast. 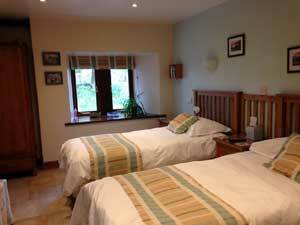 Single occupancy rates are available at £65 per night in our twin bedroom. Please note that due to demand we can only offer minimum 2 night stays on weekends from April to October. See terms and conditions on our website. If you are setting off early we can provide a continental breakfast for you. Full English breakfast is available 8.00am - 9.30am weekdays & Saturday and 8.30am - 10.00am Sunday. Bookings are being taken from Friday 30th March 2018. Please be aware that no pets are allowed in the B&B, main house, itself.